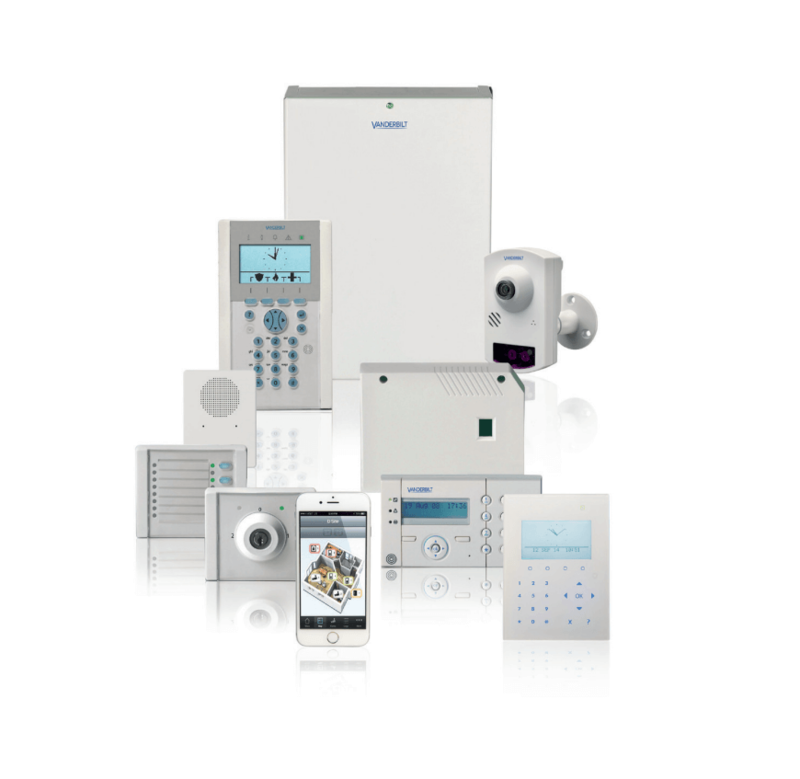 The modular structure of our versatile burglar alarm systems allows for the creation of individually adapted concepts. Hence, you will get comprehensive and functional systems that give you a strong sense of security. In addition to the burglar alarm system, we can also integrate fire detectors, emergency call push-buttons or safety fog blowers into networked systems. It deters perpetrators in case of burglary, theft, and robbery. It notifies emergency services (such as police, fire brigade or security services) in a case of need. In an emergency, it minimizes the action time of an attempted break-in. It alerts the immediate environment as well as involved or present persons. It helps to reconstruct a break-in or robbery after the event. Protect yourself and your employees. Vanderbilt SPC is an intrusion detection and alerting platform that provides a modern, high-performance security system to meet the needs of your business. It provides versatile and comprehensive alarm management functionality with cloud services, end-user apps, and a dedicated software environment. Vanderbilt SPC can do much more than just detect intruders. An integrated access control system provides an intelligent authorization system with advanced management functions. At Telsec ESS Schweiz AG, we are proud to work with the best partners to ensure that we can offer the best integrated solutions for your business. The security system is compatible and offers the best solutions to meet the individual requirements of different companies. Our security systems are cloud-enabled. In addition, a secure mobile app is provided to control your system. Features such as the live display of built-in cameras, remote configurations, managing users, and performing tasks are all possible. SPC security systems provide thousands of users around the world with future-proof, high-performance security technology. They offer advanced features for applications of all sizes and ample space for extensions. This scalability enables the system to grow synchronously with your business. The first minutes of a burglary play a crucial role. PROTECT fog guns provide the ideal solution to this problem. The aim of the fog guns is to stop burglars from removing the objects of value. The functionality of this solution is extremely simple. After a break-in into your building, the alarm systems and the fog blowers activate themselves. With the help of the effusing safety fog, it is possible to reduce the entire visibility to a few centimetres within a few seconds. In the dense fog, the intruders become disoriented and the theft can be prevented. The safety fog remains effective for around one hour – enough time for the intervention forces to arrive. After that, the fog dissolves without residue, not causing any damage to the inventory. And it is absolutely non-toxic. Most models can be discreetly mounted in ceilings or behind walls. The effect of the fog can be significantly enhanced by optional accessories such as stroboscope and special siren.